In this article you will learn, how to activate the Business Document Serivce for Business processes. 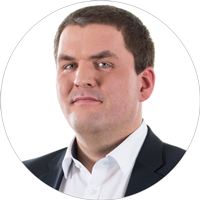 Our tutorial starts the creation of a new document type for quality certificates and Ends with a linkage of the new document type and a production order. You create a new document type for quality certificates in the production department. For this you chose “New entries” to create a a new document type. The Definition starts with an entry of the document type. Here you Chose “ZQS”. In the next step the long term Name must be determined. In our example it is “Quality Certificate”. With the document type you define, which document types can be stored. In our example it is PDF. 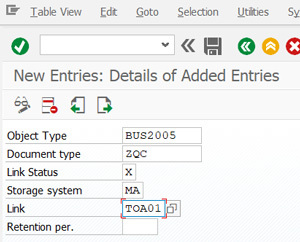 If you want to create an entry, which is shown in all Business objects, you have to activate the check box “Status“. Because we want only the quality certificates shown in the production, the check box is not selected in our example. The creation of the doucment type is finished now. Store the changes in a Transport for transferring the data to the following systems. 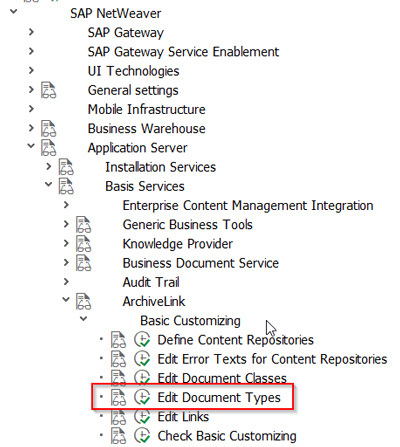 In a second step you link the new created document type to an SAP Business object. 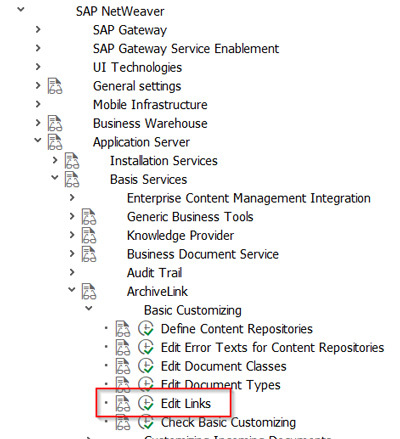 For this you open the configuration SPRO -> Application Server -> Basis-Services-> ArchiveLink -> Edit linkages. Because the linkage between the document type and the production order is not yet established you click on “New Entries” to create a new one. The object type for the production order is „BUS2005“, the document type is „ZQS“. In the field “Status Linkage” enter an “X” and for the storage you chose our existing place “MA” (remark: the storage can have another name in your environment). The linkage is written in the table TOA01. 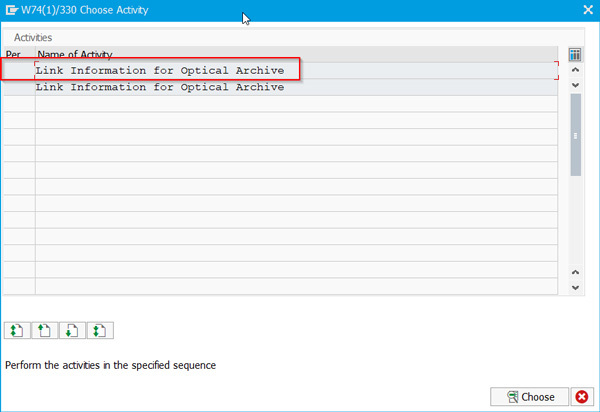 With “Storage time” you can determine, how long (in month) the documents remain in the linkage table. After this store the changes in a Transport. 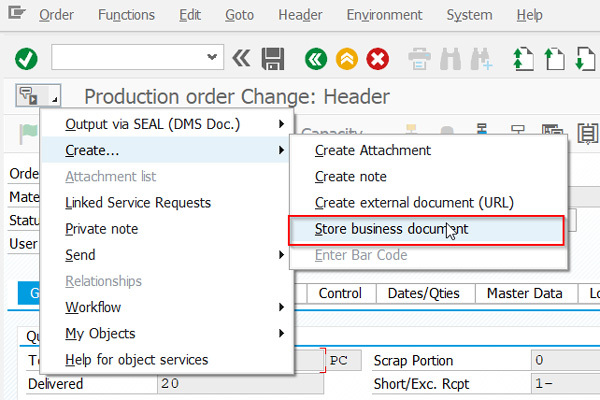 Now the new created document type is available in the production order.